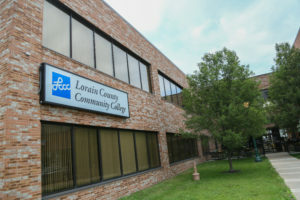 LCCC’s Lorain Learning Centers provide programs and services to Lorain residents in convenient, accessible locations. Prospective, new and continuing students can take advantage of the programs and services offered through the Learning Centers. Enrollment Services, located at the Lorain Learning Centers, offers services in LCCC admissions, registration, academic advising and assessment testing. Whether you need credit or non-credit classes, or whether you are taking classes in Lorain at the Lorain Learning Centers or on the Elyria campus, we’re here to assist you in your higher educational needs. Read how LCCC graduate and Registered Nurse Jessicka Castro got her start at the Lorain Learning Center. 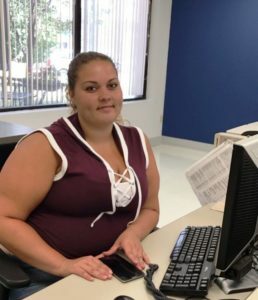 Courtney Garcia, Student Worker, 23, Lorain: Courtney is a student worker at the LCCC Lorain Learning Center who is on her journey toward a bachelor’s degree in social work through the The University Partnership of Lorain County Community College. “I want to help kids that can’t help themselves,” she says. 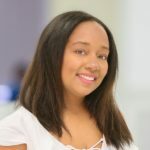 In the fall she will also give back as a volunteer with the Boys and Girls Club. Monday, Tuesday & Wednesday 5:30 – 8:15 p.m.
To make an appointment for tutoring services, call the Tutoring Center toll-free at 1-800-995-5222, ext. 4057 or 440-366-4057 or the Math Studio at 1-800-995-5222, ext. 4065 or 440-366-4065. Be sure to specify Lorain City Center as your appointment location. Tuesdays from 11 a.m. to 1 p.m.
Mondays from 10:30 a.m. to 12:30 p.m.
A representative from Women’s Link will be available at the Lorain Learning Center at City Center from 10 a.m. – 3 p.m. on select dates. Cathy Shaw will be available for appointments, as well as walk in’s on select dates. Call Women’s Link at (440) 366-4035 for more information. 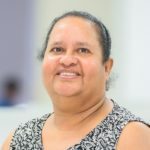 The mission of the LCCC Lorain Learning Center is to fulfill the LCCC mission by providing an accessible location in the city of Lorain which offers programs and services that are responsive to a culturally diverse community.